Makes custom apparel and promotional products with locations throughout the country. 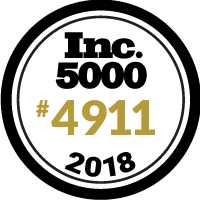 Although we are a 7-time Inc. 5000 honoree, our last time on the list was 2014. So we are very proud to get back on the list in 2018!